The Design Studio software opens up so many possibilities for creating unique cards. 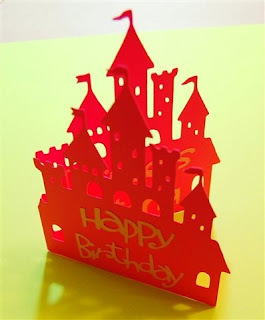 There are many shapes that can be used to make interesting "shaped cards" for all occasions. I created this card with my neighbor to help her get started on using the software - I will explain how we did this step by step to help others learn this simple technique. 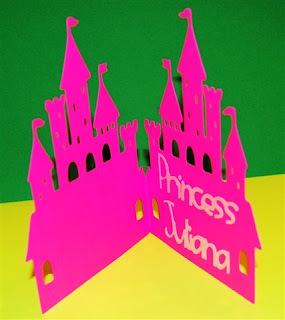 To create a card, find a shape you would like to use and place it on the right side of the mat - we used a castle from the Paper Dolls Dress Up cartridge. 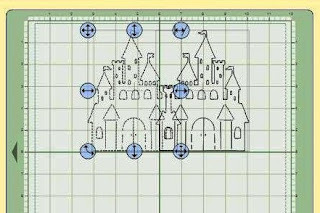 Then click "flip" in the Shape Properties box at the top right of the screen (both "weld" and "flip" should be checked on the second castle). 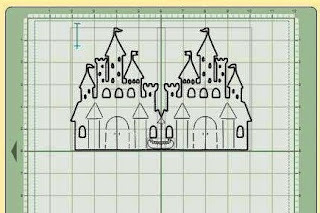 By using the 200 view you can check the center weld - here you can see that due to the shape of the castle there will be a cut going up about 1/2 inch from the bottom of the fold. To minimize this, find another shape to weld on top of the area that you do not want to cut - try to use something on the same cartridge - for a bit of fun I chose the canoe to demonstrate! 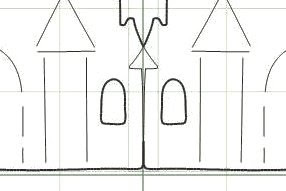 Be sure to click weld after selecting this filler shape. The canoe is entirely "grayed out" and will not cut but will weld the two sides together in the area we wanted to cover - I left it up a bit from the base to make the scoring of the fold of the card easier (the line will be more obvious because of the little notch). 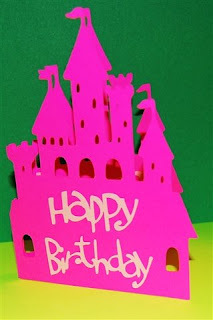 We decided that the font from ZooBalloo would be a good choice for this card (there was also a pre-made "Happy Birthday" phrase on that cartridge), but you can make your words in whatever font pleases you. 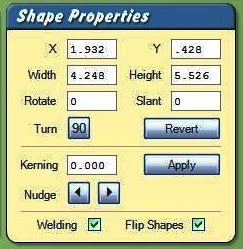 You can use pre-made words, weld your own words or do your own lettering by hand. 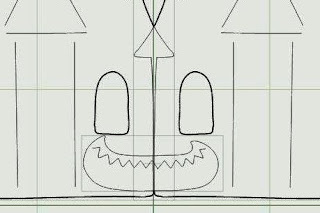 Obviously you will need to change the name on the second page of this file which I left for sizing purposes. 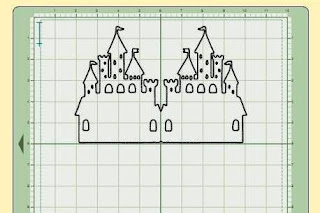 I love the castle card. Thanks for the cut file and for the instructions. Wow!! Great tutorial! This card is absolutely beautiful!! Dang cute! 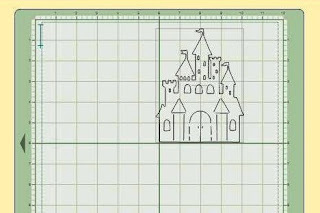 Thanks for sharing the file and your great step-by-step instructions! This card is spectacular! Thanks for sharing. That was a great tutorial. It is great to see it broken down into a simple explanation. Thank you for sharing your knowledge and hard work. 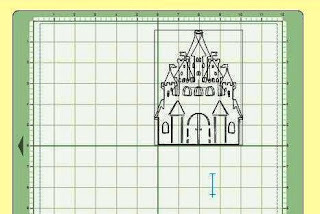 Hello Is it possible that I'll get the file of the castle? 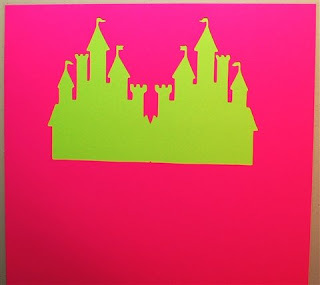 I love the castle card. I REALLY appreiate your screen shots and explanations. Thank you. 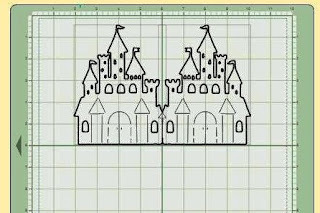 The file is available by clicking on the words "Simple Castle Card" in bold and underlined at the end of the blog entry. 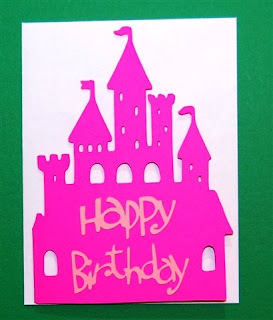 Have fun with it - the cards turn out very cute and you can do lots of decorating - the example in the post is just a basic starting point.